Do you know the first thing God ever said about sin? But how in the world can we master it? Those long engrained habits. The attitudes we catch ourselves having. The ways we react with anger or apathy or judgement. And, perhaps more importantly, do we want to? Over the last few years I’ve invited God into an area of personal struggle with sin. The first year I spent wearing myself out trying to change myself. I thought if my will was strong enough, I could overcome. I was missing the key to the power of the gospel. Thankfully, the Lord showed me the truth of His Word as I earnestly sought Him. Acknowledging neediness is perhaps the most important step in receiving help. Jesus came for sinners. That’s good news today! He came for me! He came for you! Have you ever confessed out loud to the Lord, “I confess I am a sinner in need of a Savior?” Have you ever confessed a specific struggle to God that you really thought you were hiding? Confession brings our raw, real, authentic selves into the light. There is no better place to sit. God is gentle and loving. Go ahead and say out loud that you need help. Name the sin. Put it out there. You must decide it will not stay in hiding any more. Cleansing comes with confession. But that sin will still knock at the door. So we must now press into the power of the gospel. The gospel is more than a story written a long time ago. 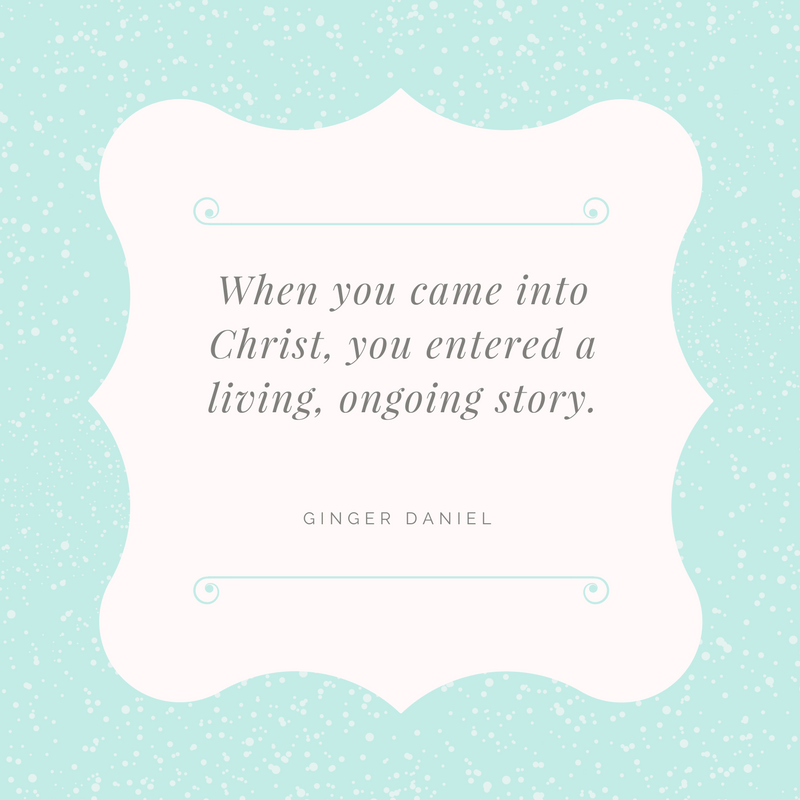 When you came into Christ, you entered a living, ongoing story. The power of the gospel is seen in the redeeming work Christ does in the life of a believer. It is real. It is tangible. It is how the kingdom is advancing on earth. There is NOW no condemnation for those who are in Christ Jesus. (Rom. 8:1) When condemning thoughts come into our minds, they are not from the Lord. He is for us in every way. When we confess our sins, he separates them from us as far as the east is from the west. Believe it. Where sin increased, grace increased all the more. (Romans 5:20) The gospel tells me that my sin will always be met with GRACE when I confess and turn. We all fall, and we all get back up. Grace. Grace. Grace. The mystery of the gospel has been made known to us: It is Christ in you and Christ in me! (Col. 1:27) I don’t do the changing. Christ in me does. Every time I pray, Christ prays through me. Elisabeth Elliot once said, “The secret is Christ in me, not me in a different set of circumstances.” The believer takes the power of Christ with them everywhere they go. Your circumstances may not change, but Christ in you can change how you live within them. 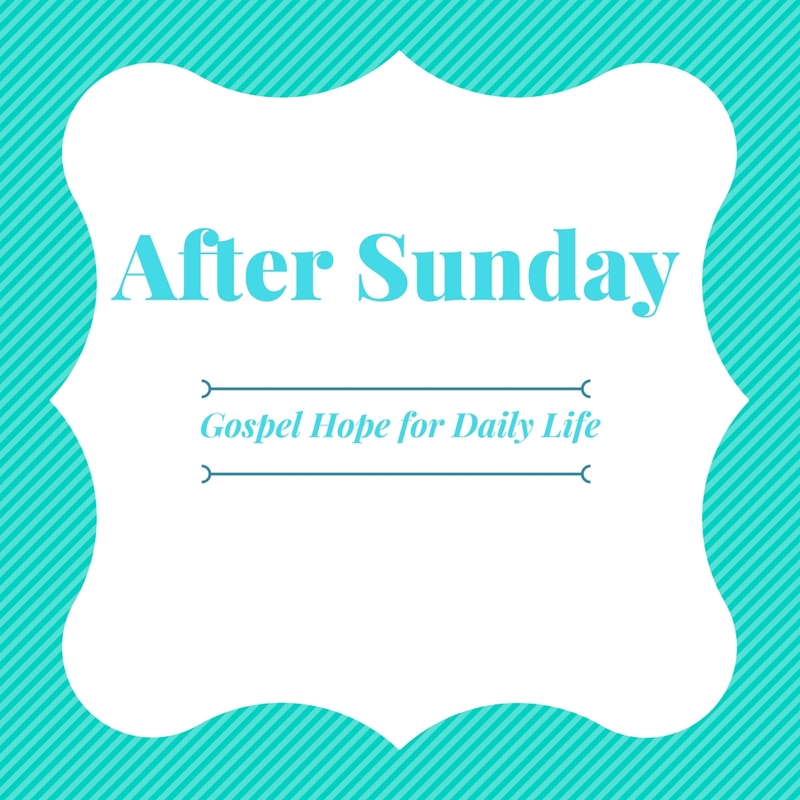 When you have given your life to Jesus Christ, the Holy Spirit is not just a subject matter for Sunday sermons. He is a person living inside of you. But just like your friendships grow in intimacy through time together and conversation, we must nurture our relationship with the Spirit. You may know the Holy Spirit convicts us of sin. But did you know one of his main jobs, according to Christ in John chapter 14, is to remind us of everything Jesus has said to us. This is HUGE. When you have hard days, who brings a worship song to your mind? The Spirit. When you need hope for the day and you wake up with a verse on your mind…who did that? The Spirit. He is moving in ways we don’t even recognize. And if we don’t recognize Him at work, how can we press in to what He is giving or showing us? Have you every invited the Holy Spirit to give you power to overcome that habit? Are you listening and looking for ways in which He is speaking to you? If we will lean into that nudge to pull near, the Spirit will strengthen us in ways only He can. This one truth can change your whole life if you really apply it. We are (meaning, yes you CAN BE) transformed from the inside out by renewing your mind. How do we do that? We’ve got to get in the Word of God and replace lies, attitudes and hurtful thoughts with truth. God’s Word renews our minds. Scripture even tells us that only after that can we really understand the will of God. Understanding of His will comes after we have given Him full reign in our thought life. Practically speaking, if you have struggled with negativity your whole life, you can rewire your brain to think differently. You can choose to change your thought life and memorizing Scripture is one great way to do that. For struggles with sin, we begin by casting out tempting thoughts the moment they enter. We choose to turn from evil thoughts and immediately ask the Spirit for help. I have to quickly rebuke some thoughts out loud and invite the Spirit to remove them from my memory. Thoughts lead to action, so we pay close attention to the thoughts we let roam through our minds. Another great resource for this area is Dr. Caroline Leaf’s book, Switch on Your Brain. And I did. But when it comes to long engrained habits, perhaps that we have seen modeled or have ourselves practiced for years, we need help to overcome. That help is called accountability. There is power in sharing your specific struggle with another trusted person. Confession to God brings forgiveness, but confession to another person brings healing. You are saying, I’m human and I can’t do this alone. Do you have a friend, pastor or relative you could invite into this journey with you? Community was God’s idea. He never meant for us to walk alone. Meditate on or memorize verses such as “I desire to do your will, Oh, God. Your law is in my heart.” (Ps 40:8) By doing so, you are soaking your mind with the truth you need your heart to receive. The longer we think on something, the more deeply it will sink into our belief system. Though you may not truly want His will over yours at first, you may be surprised to see how speaking this verse over time can change you. Pray specifically for the desires of your heart to change. It’s where the root is. The mind may be the battlefield, but the heart is where that battle was conceived. Should your area of change be in an attitude or habit, pray that you would be quickly turned off by the bad attitude and lack any desire for that habit. When you truly desire virtue over what you have long fed your flesh on, the fight can begin. Worship. We were made for worship. But worship is not only a set of songs during a service. To worship God is to adore Him. And the more we adore our Creator, the less we love the ways of the world. How do you adore Him? Have you sat in creation lately and thought on God alone? Have you gone over a favorite lyric of a hymn in the car on the way to work. Have you ever written a love letter to God?Worship will root out hate, discord, bitterness and long engrained sin. Turn your heart to adore Him and let His agape love sweep over everything else you thought you wanted. If you have not yet put your faith in Jesus Christ and you desire to have a relationship with Him, He is ready and willing to welcome you today! Romans 10 tells us that if we confess with our mouths that Jesus is Lord and believe in our hearts God raised Him from the dead, we will be saved. Simply pray from your heart confessing you believe He is Lord, you are a sinner and you want to give Him your life. The Spirit will come to live inside you and you will never be alone. If you give your life to Christ, I’d love to hear about it and encourage you. Find a church family and download the Bible App on your phone or pick up a Bible today.